The brightest star at lower left is Menkalinan (Beta Auriga), magnitude +1.9. 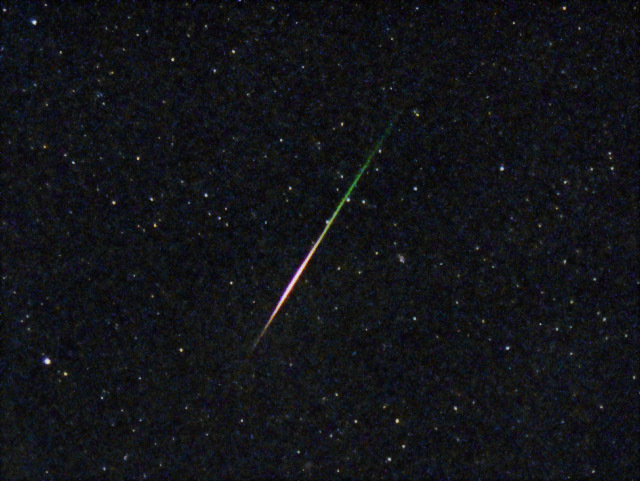 This meteor crossed (07h 15m 02s, +49°42'09") at the center of its trail. The trail was over 13° long.